The Government of Nicaragua recognizes the positive impact of foreign direct investment (FDI), which is why it seeks to facilitate the establishment of businesses in the country. The establishment of a public-private dialogue system in Nicaragua has been instrumental in developing effective measures to foster economic growth, create jobs, and reduce poverty. Government officials, the private sector and union leaders meet periodically to discuss key issues affecting the business environment and to work on sustainable, long-lasting solutions. Mixed committees were created between government officials and business representatives in order to follow up on agreements and promote an improved working relationship. This dialogue mechanism has become internationally known as an example that can be followed by other countries and provides confidence to investors, who witness all parties working together towards the same goal. One of the results of this dialogue has been the tripartite minimum wage for the free zone sector, an agreement between the Government, the private sector, and union leaders that establishes minimum wage increase of up to 4-year periods, as well as initiatives to improve labor conditions. So far, three editions of this agreement been signed, providing investors with predictability regarding labor costs in Nicaragua. The Government of Nicaragua recognizes the positive impact of foreign direct investment (FDI) in an economy such as the one Nicaragua has, and therefore actively and openly promotes it so that the country is responsible with its employees, the community and the environment. 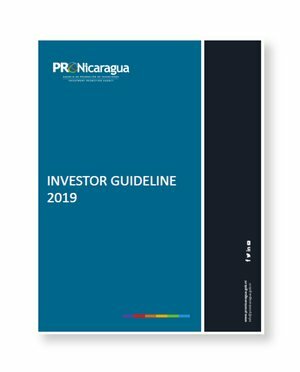 Proof of this is the existence of PRONicaragua, the official investment promotion agency of the country, which has the full support of and works alongside the government. Additionally, the naming of a Presidential Delegate for Investments to coordinate investment promotion efforts and ensure the successful development of these projects, further affirms the government’s positive stand towards FDI. PRONicaragua stood out with the best results among all investment promotion agencies in the world in the 2012 Global Investment Promotion Benchmarking (GIPB), published by the World Bank, International Finance Corporation (IFC) and the Multilateral Investment Guarantee Agency (MIGA). Nicaragua’s economy is among the freest of the world according to the recently released the Economic Freedom of the World (EFW) report, published by the Fraser Institute. In the 2018 report, the country is ranked in the 54th position out of 162, with a score of 7.27 out of 10. This annual report measures the economic freedom (levels of personal choice, ability to enter markets, security of privately owned property, rule of law, etc.) by analyzing the policies and institutions of over 160 countries and Hong Kong. According to the report, based on 2016 statistics (the most recent year of available data), the top economically free jurisdictions are Hong Kong (which continues its streak of number one rankings), Singapore, New Zealand, Switzerland, and Ireland. In the Latin American region, the top free economies are Chile, Panama, and Costa Rica.